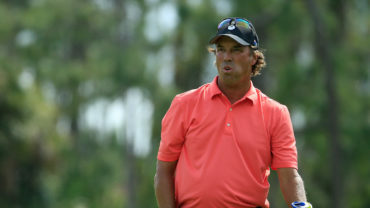 NAPLES, Fla. – Kirk Triplett jokes that fellow golfers say they think Bernhard Langer is human. What Triplett does know is that he matched the defending ACE Group Classic champion for the lead at 10-under 134 after the second round Saturday. 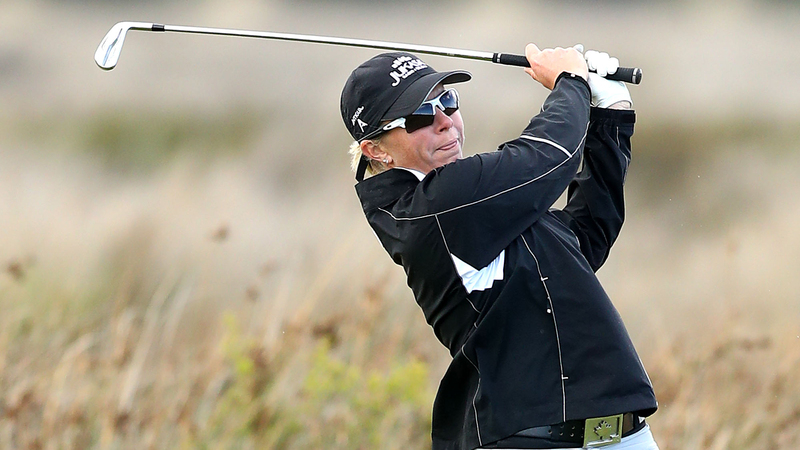 Triplett shot a 5-under 67 in windy conditions on TwinEagles’ Talon Course. 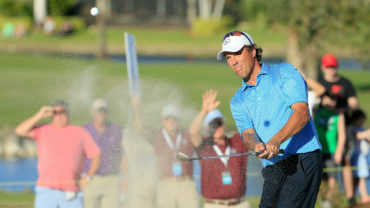 Langer, also the 2011 winner and 2012 runner-up, followed his opening 64 with a 70. He won the season-opening event in Hawaii last month for his 19th Champions Tour title. “He’s the ultimate of our Champions Tour sport, right?” Triplett asked. “He’s out there, he’s preparing, he’s working, he’s playing the same way that he played, he’s treating this tournament playing like it was the Masters, right and not all guys do that. This week, it’s Triplett’s shot. He’s on an impressive streak, going 64 holes without a bogey. “I’ve hit some nice shots, I’ve hit some poor shots and gotten away with them, so that’s going to put you usually pretty close,” Triplett said. When Langer was told about Triplett’s streak, he said, “Good for him. Triplett has two Champions Tour victories after winning three times on the PGA Tour. Langer birdied No. 17, then hit a 4-iron 200 yards from Bermuda rough over water to 12 feet to save par on 18. Last year, Langer built up a big lead after two rounds, then held off a couple of charges to win. This time, he looks as if he’s in for a much tougher challenge. Duffy Waldorf and Olin Browne were 9 under. Waldorf, coming off a playoff loss to Michael Allen last week in Boca Raton in the Allianz Championship, shot 68. Browne had a 71. “A lot of times on the Champions Tour it’s like this, the scores can be bunched up,” Langer said. “It’s difficult to separate yourself in two rounds or three rounds and most tournaments are won by one shot or maybe two. Colin Montgomerie, playing in his 12th Champions Tour event, was 7 under along with Bob Tway. Montgomerie had a 67, and Tway shot 72. Montgomerie hasn’t won an official PGA Tour-sanctioned event on American soil. “I won the World Match Play in Arizona,” he said in mock protest. “They paid me a million dollars for winning, I suppose. I got a trophy. I beat Ernie Els in the semifinal, Davis Love in the final. 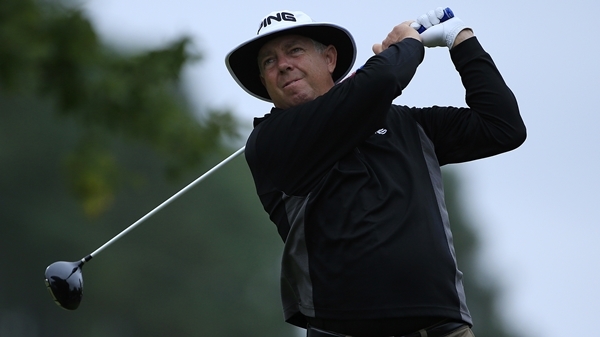 Rod Spittle jumped seven spots up the leaderboard after firing a 2-under par 70 Saturday. The St. Catharines, Ont. native is 4-under par for the championship. He tied for 25th last week at the Allianz Championship. 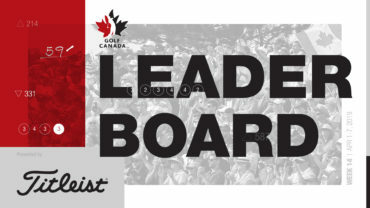 Jim Rutledge (72-73) of Victoria, B.C. is tied for 42nd at 1-over par. He tied for 39th last week at the Allianz Championship.